The gaming industry, in recent years, has received an incredible amount of interest from the general public and academics alike. This is in part, due to the normalisation of gaming as a hobby, with mobile and tablet gaming expanding the activity to a much larger audience. Gaming has become, for the younger generation, the 21st century’s equivalent of a cultural medium. But the increasing interest is also in part due to the incredible amount of growth in the economic value of the entire industry. Digit-Capital, a mobile gaming-focused consultancy, forecasted the entire gaming industry to have a total valuation of $83 billion USD by 2016. The amount of innovation, in both the technical side of game development, as well as the business side, has been profound. New business models and ways of engaging with the consumer have emerged. At the forefront of business and economic innovation in the gaming industry is a privately-held software company called Valve Software. Valve has the unique advantage of being in both roles, as a game developer, and the owner of a game storefront called ‘Steam’. 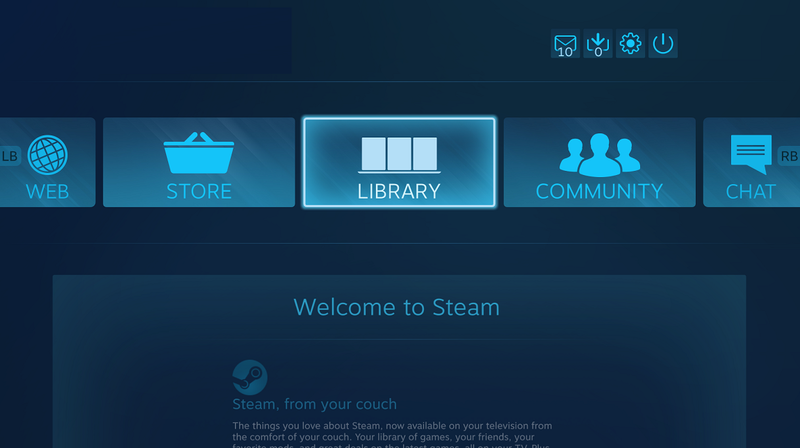 Steam was originally released as a PC-based games distribution network, back in the early 2000s. In the early stages, Steam was only envisioned as a first party distribution and updating network. Its role was later changed, when Valve opened up Steam to other publishers, and created an online storefront. This was a major change in the industry, as at that time, the majority of games were distributed to, and sold in brick and mortar stores. Valve was able to capitalise on their first-mover advantage and capture a significant portion of market share in games distribution. 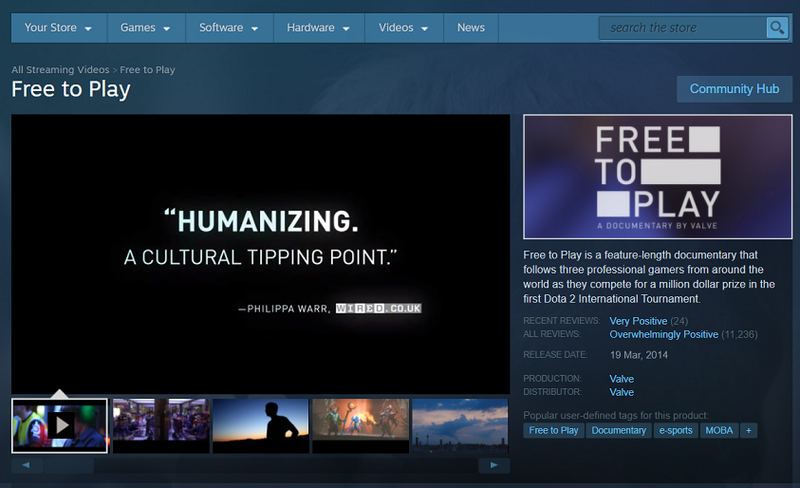 Valve later pivoted Steam, and expanded its scope to also include a social element. This was in response to growing competition. Other major gaming publishers, attracted by the amount of revenue generated by digital games storefronts like Steam, entered the arena. By creating a virtual community surrounding Steam and its games, which in effect, created a self-reinforcing ecosystem, Valve was able to differentiate the service and continue its dominance in the industry. The traditional business models in the games industry mirrored the business models of other forms of entertainment. This was a relatively simple transaction. The publisher would develop the game and sell copies of the game to a brick and mortar store. The consumer would then purchase the game, as an individual good, from the store, for a flat fee. The consumer would then be able to play that game in an unrestricted manner. With the increase in mobile, tablet and online browser-based online gaming, publishers have had trouble directly monetising their games through direct purchases. Thus a shift began to occur, with publishers opting for a ‘free-to-play’ business model (F2P), with a significant caveat, however (This trend is best exemplified with Zynga’s ‘Farmville’ Facebook game, and Supercell’s ‘Clash of Clans’ mobile game.). The base game would be free, but an option to purchase ‘virtual currency’ would be available, and conspicuously advertised throughout the gaming experience. The problem with the early forms of F2P business models, was that they tended to be manipulative and rely heavily on feedback loops that encouraged you to pay for ‘virtual currency’ to spend in-game. These programmed ‘frustrations’ (such as time barriers, artificial limitations, …) essentially coerced players to pay, in order to progress. Valve managed to build upon the free-to-play business model, but without all the requisite drawbacks, by creating a F2P+Cosmetic business model. They converted one of their existing games–Team Fortress 2–into a F2P game. The game would function, as it previously had (when it was still paid), but with a new non-manipulative monetisation mechanism. The monetisation strategy was simple. As players played the game, they would randomly get cosmetic items that could be applied to their character, or traded with other players. 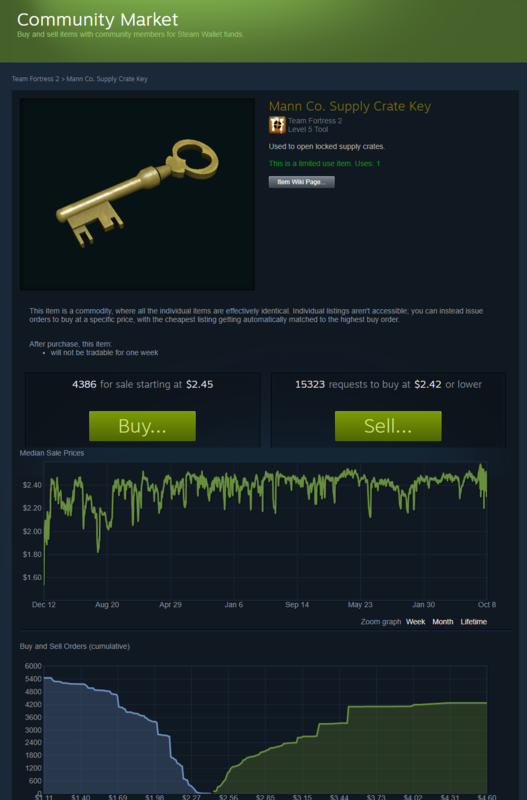 If players wanted to get a full set of items immediately, without trading, they could buy cosmetic items directly off of the official store (thus generating revenue for Valve). As the monetisation mechanism was completely divorced from the gameplay (as the items were purely cosmetic, with no gameplay-impacting feature), this business model retained the benefits of a game being free-to-play (such as getting a larger user base due to the lack of a purchase price), but also the advantages of a paid game (no manipulative algorithms attempting to exploit feedback loops and psychological processes). Valve had found a way to run a sustainable free-to-play game. This new business model created goodwill in the community for the game, thus retaining the playerbase of the community (as opposed to burning out consumers who keep buying ‘virtual currency’ for a F2P game) and increased revenues for the game. In addition to creating a radically different free-to-play business model, Valve, through its social pivot, managed to redefine the nature of the interaction within the online gaming community. They transformed the relationship from unilateral (game publisher–distributor–consumer) to a multilateral relationship. The first multilateral relationship that was created, was between individual creators and designers (‘modders’), game publishers and consumers. Previously, modders released their custom content on various parts of the Internet, on a free basis. Valve stepped in and allowed modders to use the game publishers’ IP assets (the game itself) and create entirely new content, which was then distributed through Steam, to consumers. This allowed both free and paid external content to be facilitated through one single system. The second multilateral relationship that was created, as between game publishers, and two sets of consumers. The games would generate cosmetic items (such as TF2’s P2P+cosmetics business model) as players played more, which could then be traded between players. The items could be traded for money (based on a supply-and-demand model), or for other items. The two new types of multilateral relationships in online gaming that Steam facilitated was truly innovative, and has not been (as of yet) successfully copied by any other competing game ecosystem. Due to the nature of technology-related industries, the leading companies are constantly being challenged by competitors, and in certain scenarios, wiping out the dominant company in the process. Two different types of businesses attempt to compete with Steam. The first type, as previously mentioned, is storefronts launched by other major gaming publishers. In this model, publishers attempt to emulate the distribution+social model of Steam. The second type is more reminiscent of the traditional brick-and-mortar storefront, with the major incentive for consumers being the frequent discounting and sales of games. Both types of competition have been, however, very poor in execution, and have been unsuccessful in siphoning marketshare from Steam. Before speculating on the trajectory of the service, it is necessary to reexamine Steam’s history. 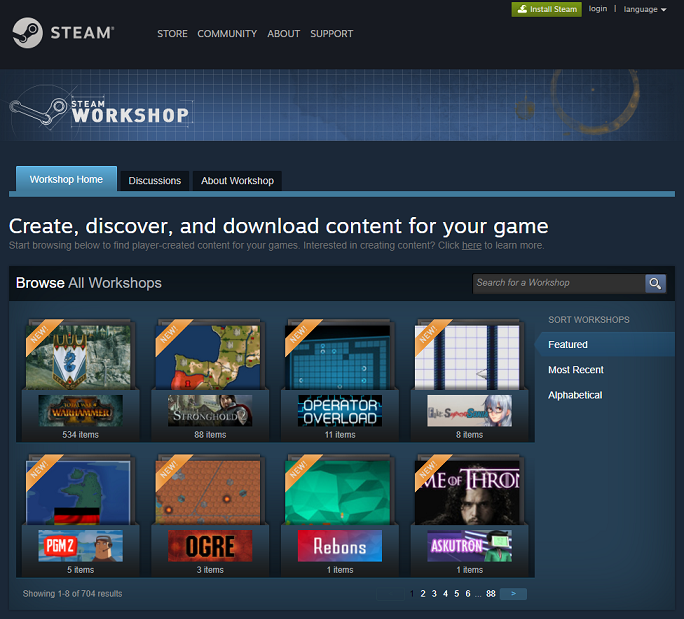 Steam has established a very solid gaming distribution platform, in terms of the unilateral publisher–distributor–consumer model. The underlying infrastructure–content delivery, publisher relations and the payments system–is very strong. The social aspect of the service, released in the mid 2000s, was able to reinforce the storefront aspect, and create a self-reinforcing ‘halo’ effect. What is next, in terms of new business models in the gaming industry? Valve has hinted their plans in a very subtle manner. A common practice in the technology industry is the practice of ‘soft-launching’. This is the release of a feature or a product prematurely, with the intent on building the product in incremental stages, and taking alongside. Valve have ‘soft-launched’ several other categories: film, software and music, which suggests that Valve may be looking to pivot Steam again, transforming it from a solely games-based ecosystem to a wider ‘content-based ecosystem’, allowing for the distribution of films, TV shows, software and music. This will be even harder for their competitors to copy, outside of an acquisition or a merger with a publishing outlet, due to their lack of market share. Valve’s Steam was the vanguard of change and experimentation in the gaming industry from the early 2000s onwards. It was the first company that was able to convincingly create an online games storefront, for distributing games to the consumer. It was also the first game developer that managed to execute a ‘free-to-play’ business model that was not abusive to the consumer. Despite Valve’s clear advantage in both its F2P business model and their Steam ecosystem, the persistent threat of competitors remain. The possibility of a budding startup usurping Valve’s role in the digital publishing industry, along with game developers creating a more compelling business model, means that the industry will continue to be in a state of flux. A post that marked the launch of the blog from an internal, private-facing blog to a public domain. A short commentary piece written in 2015 about how the tech private markets was not on the cusp of collapse, dot-com style.